Let's say for example that you own a popular steakhouse. Your manager and (most likely yourself) are looking good in top quality custom Italian suits. 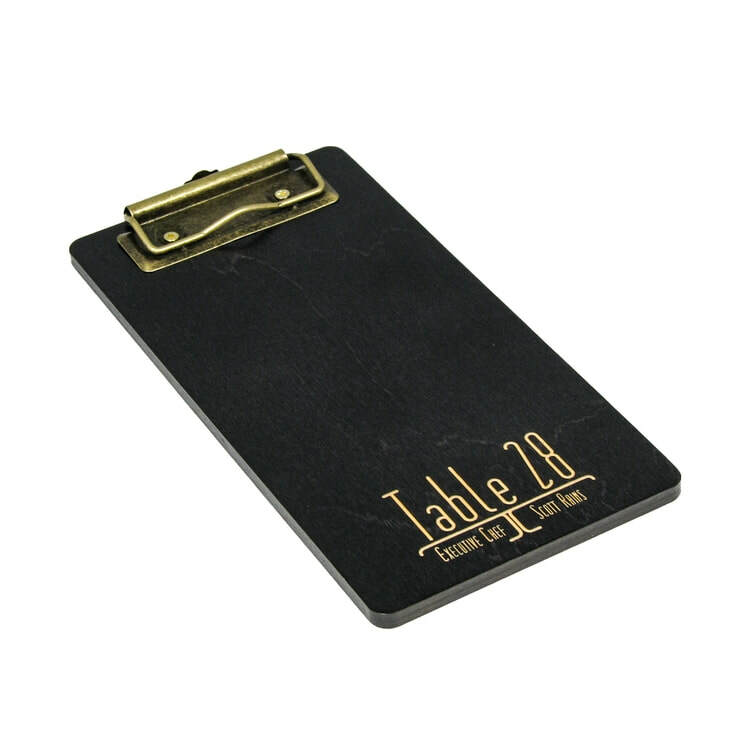 Your waitstaff is dressed impeccably in black dress pants, white starched button downs and bowtie. The restaurant itself is decorated in warm colors, with not a single water spot on a table, glass, or silverware. Why do you go to such an extreme? Because you know that when your customer goes out for a nice dinner, they are paying for the experience just as much as the food. A nice night out is priceless, especially if it's a date night that some people only get maybe once a month, or if they are lucky, once a week. It's this experience that people pay for, the high class dining, the expertise of the waiters regarding each cut of meat. Anyone can make a good steak, but only you can provide a premium experience. With that said, at the end of a meal, do you really want to hand your customer their check in the cheap, sticky vinyl check presenter than the credit card companies send to literally every credit card accepting restaurant business on the planet? You've just delivered the perfect meal, and we think you will agree that the experience calls for something a bit nicer. 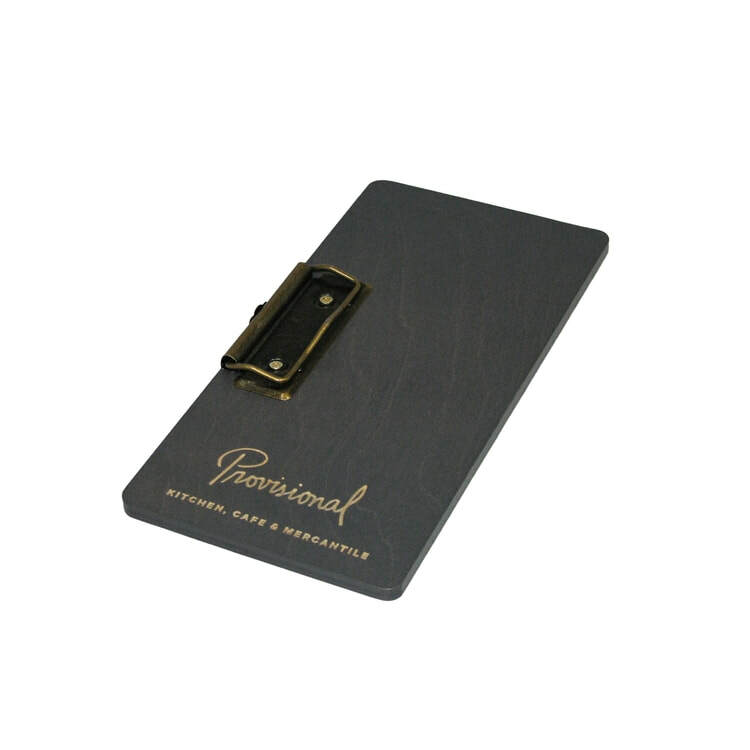 That is precisely why we make our engraved and printed high end wood check presenters. When you order our high end custom wood check presenters with clip, you get a choice of woods and finishes as well as clip placement. 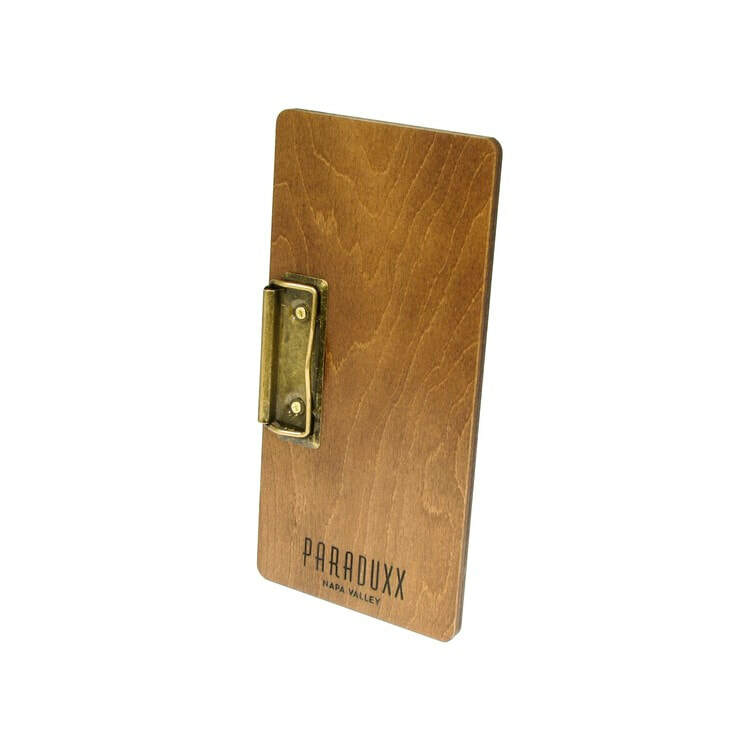 These custom wood check presenters are the best in the industry, we ship them to top level restaurants all over the country. 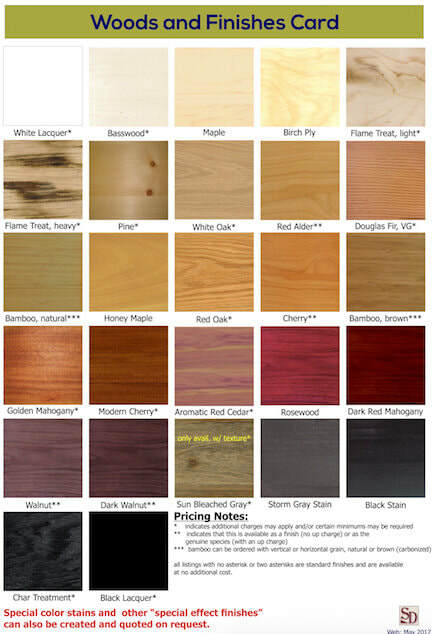 Your choice of check presenter woods/finishes include: basswood, white lacquer, douglas fir, red alder, white oak, pine, light flame treated, heavy flame treated, maple, birch ply, brown bamboo, natural bamboo, honey maple, cherry, red oak, aromatic red cedar, modern cherry, golden mahogany, rosewood, dark red mahogany, walnut, dark walnut, storm gray stain, sun bleached gray, black stain, char treated, black lacquer. Check out the pics below and then place your order and send your specs to sales@adspecialtyproducts.com.